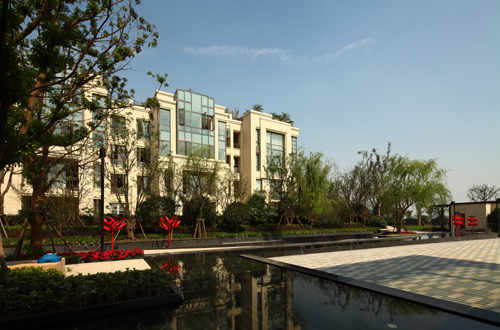 Located within the tranquil environment of the Shanghai Senlan International Community District, Yanlord Sunland Gardens builds on the group’s design concepts to seamlessly blend the natural beauty of lush greenery and flowing creeks with the convenience of a comprehensive suite of modern amenities. Benefiting from excellent connectivity via the city’s transportation network, the approximately 326,000-square-meter Yanlord Sunland Gardens will feature high quality, fully-fitted apartments and duplexes that target discerning buyers from the various multi-national corporations (“MNCs”) and Fortune 500 companies operating out of the key commercial districts nearby, such as the Waigaoqiao Free Trade Zone and Jinqiao Export Processing Zone. The inaugural batch of apartment units in Yanlord Sunland Gardens (Phase 1) was delivered in FY 2012. Yanlord Landmark is a key investment property project of Yanlord in Western China. 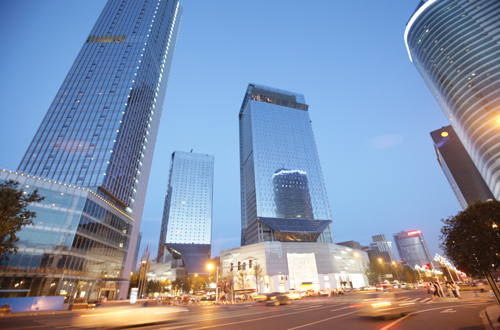 Located at the heart of Chengdu’s CBD along major arterial roads, the project neighbors top-grade office buildings, five-star hotels, and luxury department stores. It is ideally situated to metro Line 1 and other business resources in close vicinity. Yanlord landmark has a GFA of approximately 165,000 square meters above ground and incorporates office areas, serviced apartments and a high-end shopping mall offering retail, conference, residence, and other business and recreation facilities. It is positioned to be a top-end property that represents the highest technical and service standards and caters to the needs of MNCs that plan to locate their regional headquarters in Chengdu. Yanlord Landmark is designed by world renowned architectural consultants, ensuring that the project excels in all aspects ranging from engineering and landscaping to business operation. Commencing its operations in 2010, Yanlord Landmark continues to contribute to Chengdu’s integration into the global business arena and has successfully attracted numerous international multi-national corporations such as Mitsubishi, Novatris and Royal Dutch Shell. Managed by Fraser Hospitality from Singapore, the serviced apartment in Yanlord Landmark began operations in December 2010 and offers premier levels of luxury and comfort that target the demands of high-end business travelers. Yanlord Landmark is also the epitome of the retail market in Chengdu, showcasing the latest fashion from the flagship stores of many international luxury brands including Louis Vuitton, Christian Dior, Prada, Ermenegildo Zegna and Hugo Boss. Yanlord Marina Centre, located along Qinglu Road (South) near the sea coast, is to be developed into a landmark in Zhuhai city. Lying adjacent to Gongbei Customs Checkpoint to Macau, the project will enjoy easy access to the planned Hong Kong-Zhuhai-Macau Bridge as well as the transport interchange for the light rail connecting Zhuhai and Guangzhou. 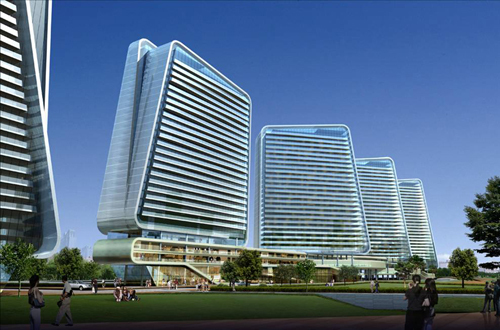 Yanlord Marina Centre, upon completion, will be a showcase development of Zhuhai city. The total GFA of Yanlord Marina Centre will be approximately 217,000 square meters. Construction commenced in 2009. The project comprises a five-star hotel, high-grade residences, offices and retail shops. The group successfully signed a management contract with the InterContinental Group to manage the hotel in 2010. The sea-view hotel, residential apartments, offices and shopping arcades are slated to be key highlights of Zhuhai’s future skyline.